Lake Wivenhoe News from Deb Frecklington MP. On Tuesday 26th November I was pleased to welcome Premier Campbell Newman to our Nanango Electorate to officially announce the outcomes of the Seqwater Recreation Review of Somerset, Wivenhoe and Atkinson Dams. The major announcement includes the use of restricted fuel-powered boats on Wivenhoe Dam, along with new access points for fishing and canoeing at Somerset Dam and the opening up of Billies Bay. The opening up of Wivenhoe Dam was one of my election commitments. It means that people in the Somerset will now have more recreational access of the water assets they ultimately own. These are already popular destinations to visit, but these new changes will bring even more tourists to the area and be an absolute boon for all the businesses and communities around the dams. My colleague in the electorate of Ipswich West, Sean Choat agrees. “I am really excited for the Somerset community, there is a lot of opportunity here and I believe the benefits to business and the local economy will be great. The review has resulted in an opening up of the dams for additional recreational use, whilst balancing the concerns of locals. The boats will be moderated and won’t just be ripping around,” Mr Choat said. Following the official announcement, the Premier was our special guest at business lunch hosted at the Wivenhoe Dam Information Centre, where nearly 80 Somerset small business owners and residents heard more about the announcement. His key message was that our Somerset lakes are some of our most beautiful locations and present so many options that haven’t previously been explored. “They were under-utilised by the former Labor Government, which didn’t understand the potential of the lakes and how to make use of it. We are determined to drive regional economic growth by making the most of our natural resources and ensuring we open up recreation opportunities and tourism, as we promised at the election. The review has had to balance providing these new opportunities for the region, while also ensuring no adverse impact on water quality or the immediate catchment around those dams,” Mr Newman said. 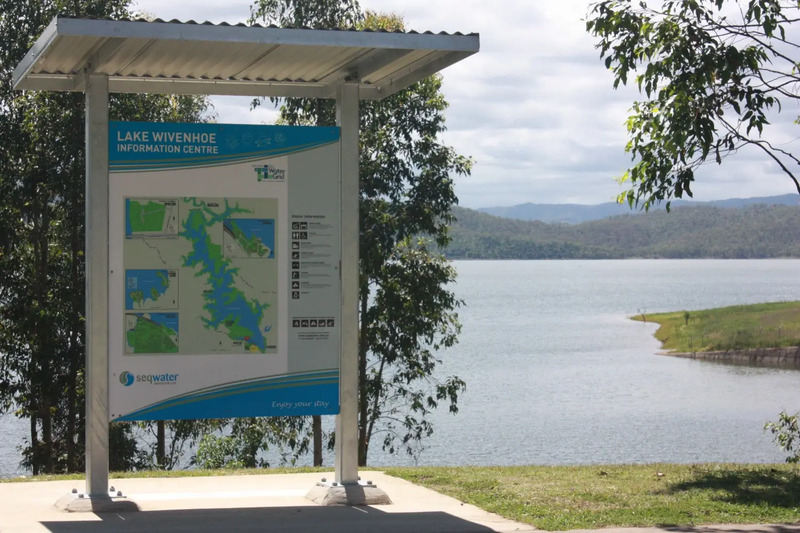 The new recreation guides for Somerset, Wivenhoe and Atkinson Dams can be found at the Seqwater website.